There are plenty of reasons to visit Baguio. The Summer Capital of the Philippines is a premier destination to heal and reconnect with culture and nature. It offers a place where weary travelers can relax and artists and art enthusiasts can showcase and discover Filipinos' creativity. CREATIVE CITY. 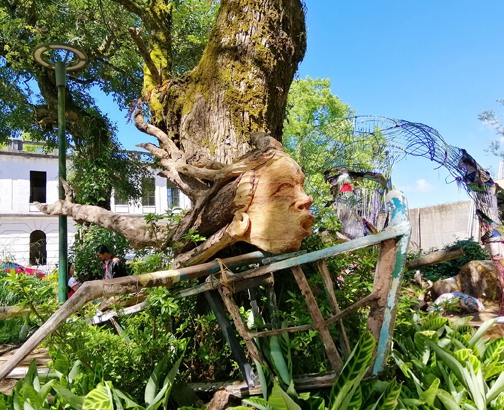 Baguio City recently staged its first Creative Festival which highlighted its unique crafts and folk arts through various presentations and activities, such as this art installation by Kidlat Tahimik, a Baguio native, at the Dominican Hill Heritage Site. The recently concluded Creative Festival, organized by the Tourism Promotions Board and Department of Tourism-Cordillera Administrative Region, highlighted Baguio's unique crafts and folk arts. The week-long event on Nov. 10-18, held for the first time in the first-ever UNESCO Creative City in the Philippines, was mounted to support and promote Baguio City not only as a destination for leisure but also a city rich in artistry and creativity. 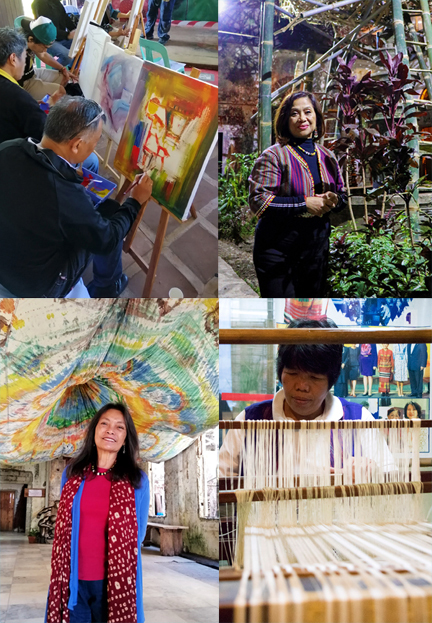 Clockwise: Kulay ng Siglo visual arts workshop, Tourism Promotions Board chief operating officer Marie Venus Tan, Narda's Handwoven Arts & Crafts keeps traditional weaving alive, Maela Jose with her tinatik artwork. Hailed one of the 64 cities from 44 countries worldwide to join the reputable UNESCO Creative Cities Network in 2017, Baguio City holds the responsibility of promoting creative industries and integrating culture into sustainable urban development policies, hence, the Creative Festival. The festival, dubbed as “ENTAcool,” was packed with activities including creative tour, cultural presentations, gallery exhibits, art discussions, and demos and workshops by master artists and artisans. The first Forest Bathing Trail in the Camp John Hay is now open for those who want to try this nature therapy. “ENTAcool” is coined from the words “entaku” which is a Cordillera indigenous term for “let’s go,” and “cool” which is commonly used to describe Baguio. ENTAcool kicked off with a grand opening ceremony at the renowned Dominican Heritage Hill Site followed by a series of creative activities. 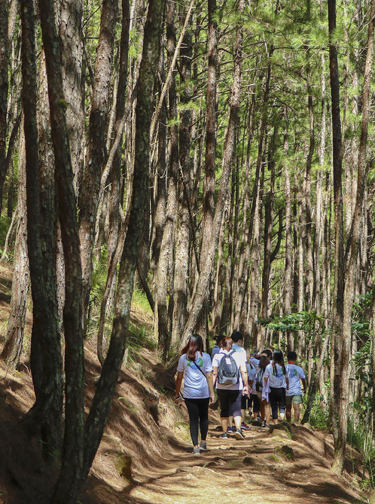 Also highlighting the festival was the opening of the first-ever Forest Bathing Trail in Camp John Hay and the launch of a photo exhibit at the Bell House featuring Baguio’s history, heritage, and rich culture through the years. Through this event, TPB repositions Baguio City as a premier destination to improve one’s health and wellness and to find inspiration for creative ideas. It also promotes local communities and emphasizes Filipinos’ innate skills and talents for the arts.